Bio: Laura became a member of the Suncoast Marketing Team in 2011; She previously spent 21 years as Business Systems Manager, with Pueblo Inc. Since joining Suncoast Marketing Inc., Laura has been in the Finance Department and advanced to Assistant Controller before taking on the current roll as Director of Business Development. Bio: Claudia is one of the youngest members of the company; she has two years of field experience working as a graphic designer for a web design company prior to joining our team. 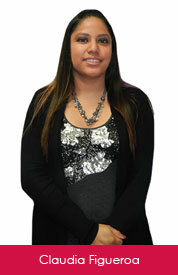 She joined Suncoast Marketing in June of 2012 as a member of our graphic design team. Throughout her career with Suncoast, she has worked her way up to become part of the management team as the Creative Services Manager. She has helped the company grow in the department with the help of her team by bringing a sense of pride and immense work ethic to every design project. Her success as an independent artist is mainly due to her creativity, problem-solving skills and accountability. Bio: Alberto joined the Suncoast team in 2009 and comes to us with over 15 years of experience in the Information Technology (IT) field. He spent 10 years as the IT Administrator at Pueblo, Inc., one of the biggest supermarket chains based in Puerto Rico and the Virgin Islands. Since joining Suncoast Marketing, Inc., Alberto has been involved in maintaining our technological advancement through the implementation and advancement of our networking equipment, servers, hardware, software, firewall, email spam/virus filters, etc. 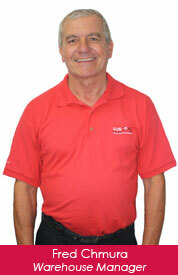 Bio: Fred has been in management with retail and wholesale distribution for 35 years. His is involved in daily operations, inventory control, logistics, and many other aspects in control of operations. 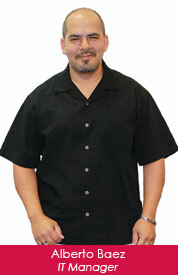 Fred has been at Suncoast Marketing for seven years with emphasis on inventory control and future development. 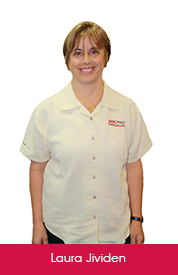 Bio: Maria joined the Suncoast Marketing, Inc. team in 2004. Originally from Grenada, Maria came to the United States in 1978 and has accumulated over 35 years of experience in customer service, inventory management and the forms industry. Maria takes immense pride in her customer service team which has thrived under her tutelage. Bio: Marijo started her financial career in Chicago at the early age of fourteen. 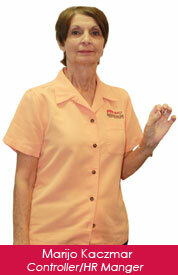 She has been in South Florida since 1986 and currently lives with her two rescue poodles in Coral Springs, Florida. 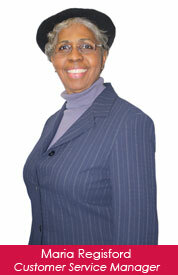 She started with Suncoast in 2009 and has enjoyed the uniqueness of Suncoast’s family culture.